Xylitol, Purified Water, Glycerin (Coconut derived), Silica, Organic Blueberry Flavour (Vaccinium Angustifolium), Xanthan Gum, Organic Calendula Officinalis Extract, Potassium Sorbate (Naturally derived), Citric Acid. 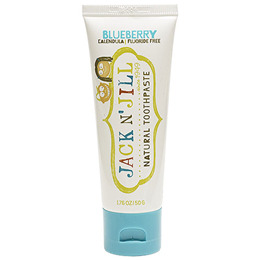 Below are reviews of Jack N` Jill Natural Toothpaste Organic Blueberry - 50g by bodykind customers. If you have tried this product we'd love to hear what you think so please leave a review.